Japan is one of the most popular tourist destinations in world. Tourists from across the world visit Japan every year. It is said that if you want to see a place where ancient and modern culture exist together, Japan is the place to go. There are certain things about Japan that you should know before visiting this country. This will help you explore all the aspects of Japan. You will also be able to mingle well with the local people and avoid the feeling of embarrassment at public places. So, if you are planning to visit the country in coming days, knowing about Japanese lifestyle and culture will help you enjoy your holiday in better ways. Japanese society is firmly bonded and interdependency is natural in the society. It means that group conformity is encouraged and praised while deviation from the main societal set up is often times discouraged. Modernisation can be seen taking place almost on each and every walk of life in Japan. These days, individualism is being largely practiced by the Japanese youths but socialism is still favoured by a large chunk of masses. Harmony and accord in society is of greater importance in Japan. 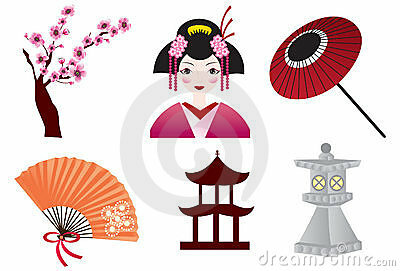 Japanese Culture: Active or Passive? It’s complex to define whether Japanese culture is active or passive. People in Japan value their proximity with nature and group. Achieving success in academic and professional circles holds significance in society. Japanese people have greater competitive instincts but they always compete with certain group in mind. As far as physical appearance is concerned, Japanese society is greatly influenced from fashion. Even the creative and attractive uniforms also make desirable and well accepted fashion statement in Japan. Unlike western countries, Japanese believe in longer distance proxemics. However, body touch cannot be avoided at the public places in large cities. Japanese people are very strict when it comes to starting their formal activities on time. They are known to be workaholics and do not end professional meetings until unanimous decisions are made. Bowing is still an appropriate form of kinesics greeting in Japan. They avoid touches at the time of greeting each other. So, if you are in Japan, do not shake hands or hug until the Japanese person initiates it. Make sure to avoid eye contacts, as it considered rude, disturbing or even threatening in the country. So, if you are visiting Japan, make sure to follow aforementioned tips. By doing so, you will be considered humble and well mannered person by the Japanese people.